Thomson’s latest in a seemingly annual series of film-related tomes sounds like it might be a how-to guide for the bases of cinema studies, and yet this actually reads like a most enjoyable bit of everything: a personal reminisce about his youth in Tooting, England, and his various past roles as critic, lecturer and author; lists and rundowns of films upon assorted themes; how films fit together, what they mean, how they morph and change as we do, and how they’ve been fiddled with via technology; and further thoughts about how cinema will continue to move with the times, whether we like it or not. 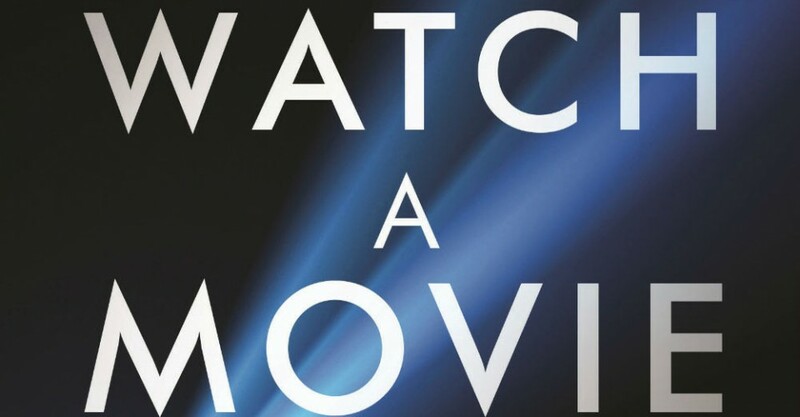 Indeed the whole idea of ‘how to watch a movie’ isn’t even properly mentioned until after page 50, but that’s okay, as we’re still entertained and enlightened, as the 70-something Thomson writes with the wit and excitement of someone considerably younger. 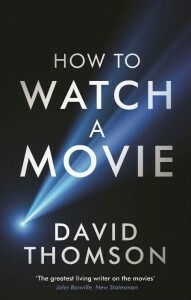 The often humourously-named chapters seem to suggest what each will be about, but often feature so much more: ‘Are We Having Fun?’ is not only the introduction, but also questions the notion of cinema as ‘a good time’; ‘Screens’ contrasts the huge cinema screens of Thomson’s youth with hopelessly small iPad, iPod and mobile phone screens; ‘What Is A Cut, And Does It Hurt?’ addresses editing but also gets into the whole question of the relation of plot information in a given story (and plot information kept secret); ‘What Does A Hero Do?’ investigates notions not only of stars and heroes but the nature of a protagonist’s role, and whether we really need to like them; and finally ‘Where Is The Screen?’ again probes how movies have been chopped, changed, reedited, ‘fan edited’, YouTubed, forcibly montaged and more, and what that does to the movie (and the viewer too). And few film writers could offer such a wide variety of filmic texts: Citizen Kane is mentioned but not trumpeted as ‘The Greatest Movie Of All Time’ (as you might be fearing), and while there are plenty of other recognised classics discussed (like Rebel Without A Cause, which prompts a mention of Thomson’s meeting with director Nicholas Ray), there’s also many modern titles like Million Dollar Baby, The Fog Of War, Gone Girl and the one-character-only Locke, released in 2013, starring Tom Hardy and analysed at length.